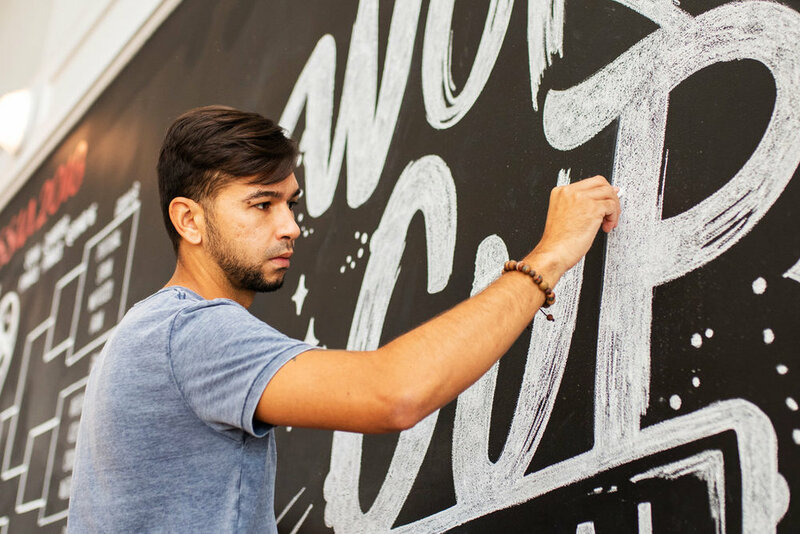 Services: Hand lettering, logo design, mural design, chalk lettering, chalk mural. World Cup Central was a PopUp dedicated to the World Cup Russia 2018 and became the destination for fútbol fans. The PopUp was hosted in downtown St. Petersburg and was open during the FiFa World Cup 2018. 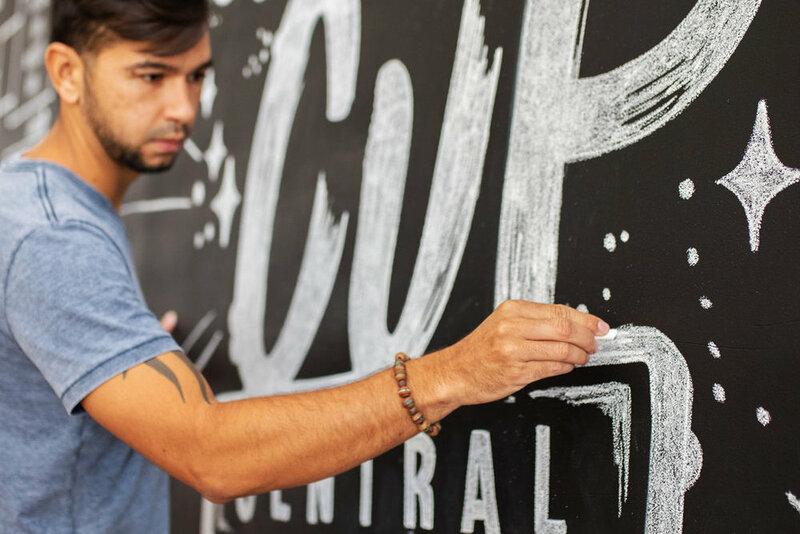 The project included the creation of the World Cup Central logo and a hand lettering chalk mural. They wanted the designs to be strong, powerful and striking in order to convert this empty PopUP space into the coolest place to watch fútbol. The logo was created with expressive typography and fully made using a mix of lettering bushes and ink. 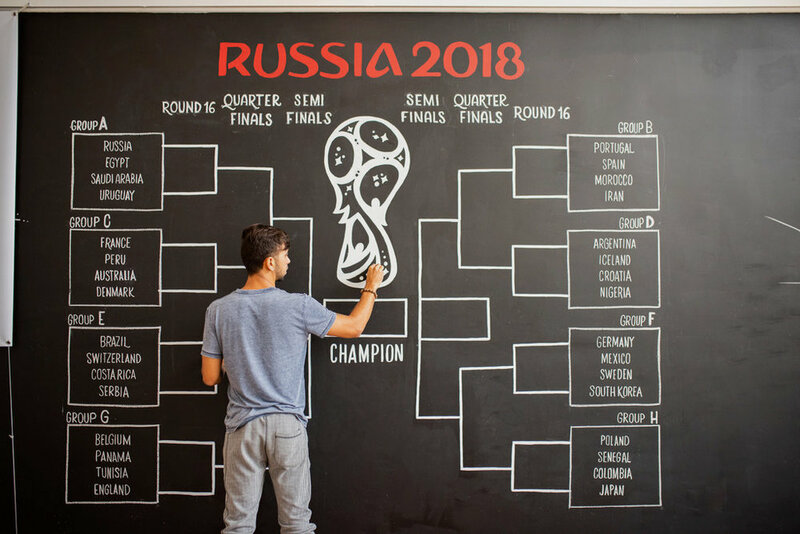 The chalk mural was custom design to fit the large space and executed using white chalk and featured several elements like the World Cup bracket, the new logo and many other supportive illustrations and lettering.